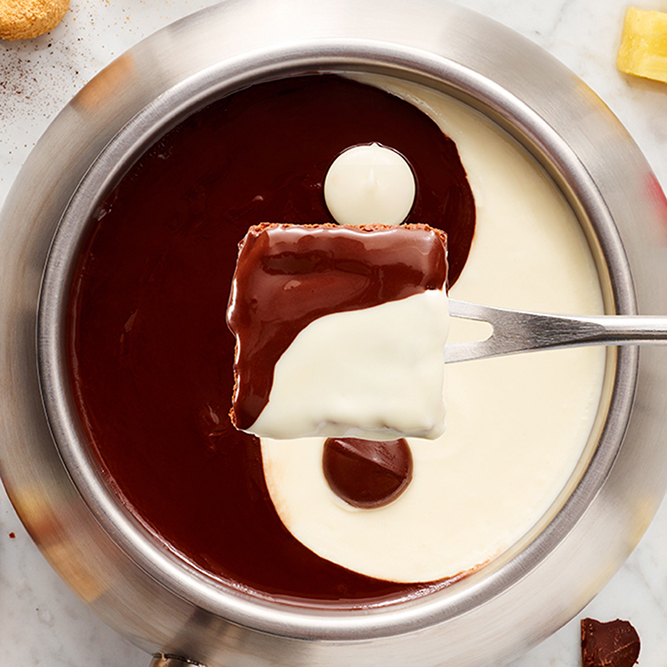 Fondue Fans and Grillmasters Unite! 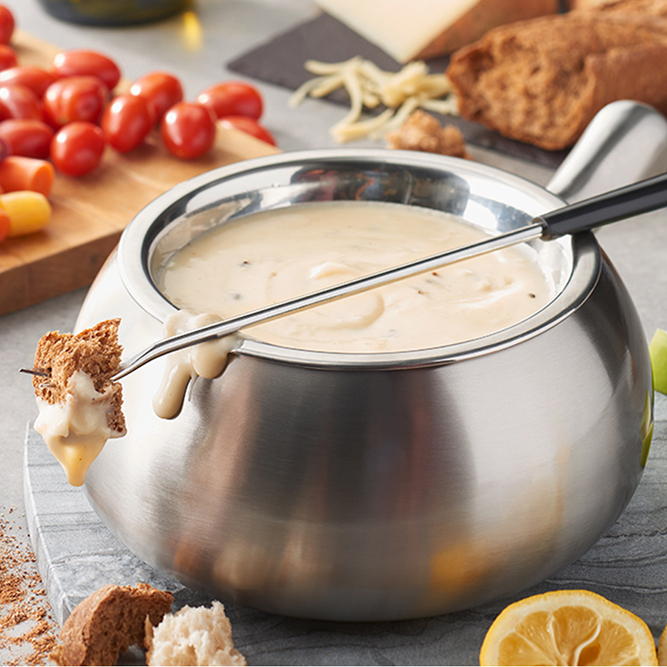 Link to Bedford-Burlington, MA Fondue is perfect for your next group event. Click on "Create Your Night" for more info. 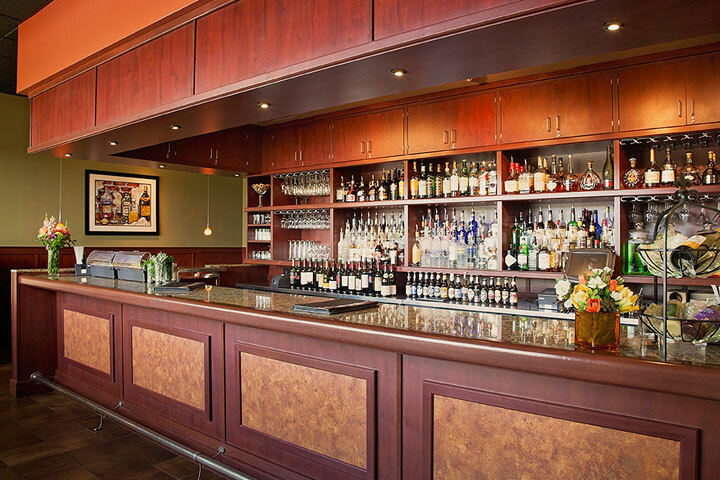 Looking for something different when it comes to Burlington MA restaurants? 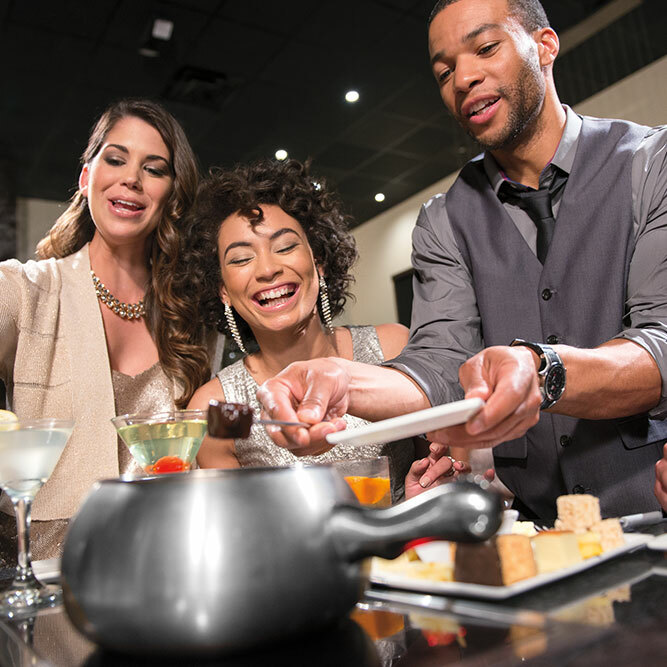 The Melting Pot is THE go-to restaurant in the Bedford and Burlington area for a fun and unique fine dining experience. 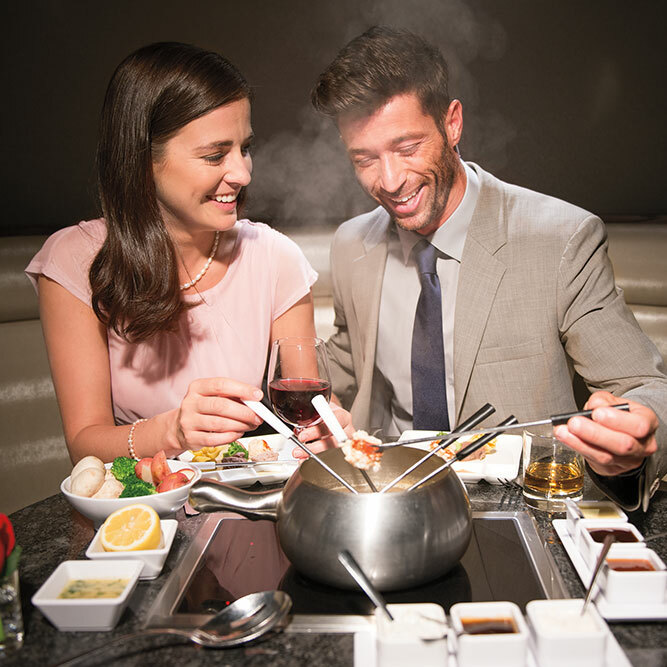 Located down the street from The Burlington Mall, our Bedford restaurant location features an indulgent fondue menu that is perfect for any occasion: a night out with the girls, a get-together with friends, family or business colleagues, or a romantic evening sharing strawberries dipped in chocolate with the one you love. 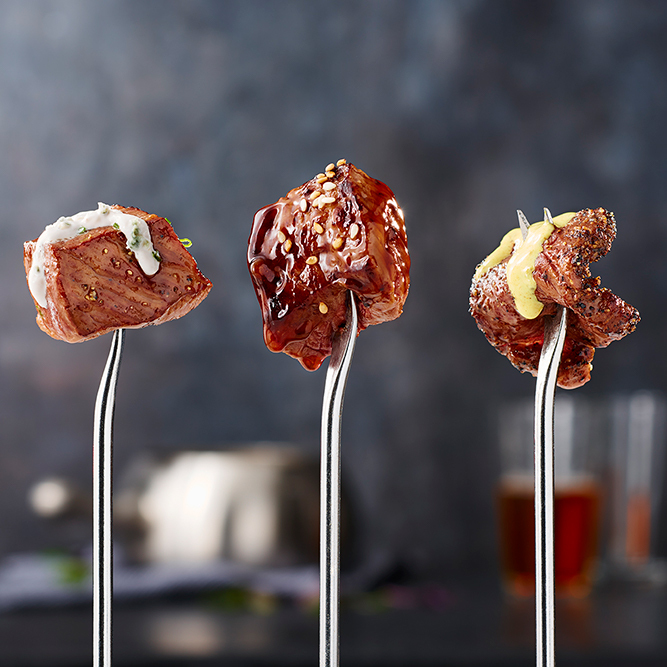 Make your reservation and try something fun, unique and delicious, tonight! 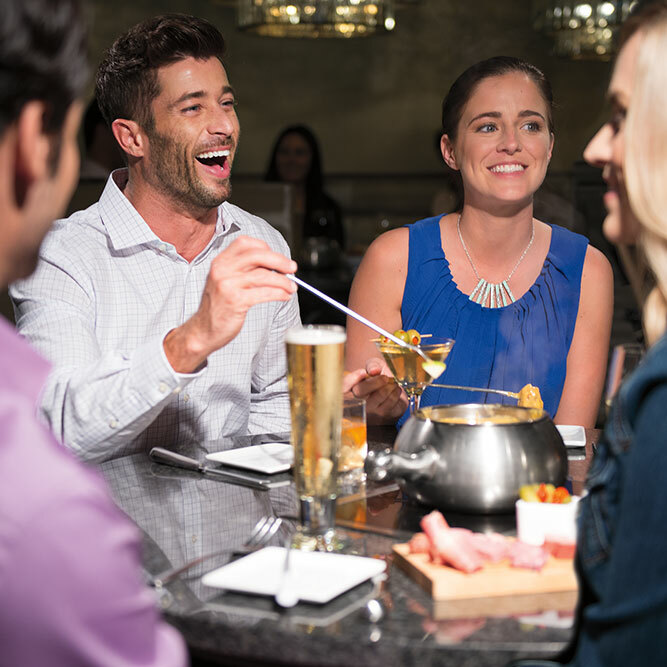 The Melting Pot’s diverse menu has something for everyone! 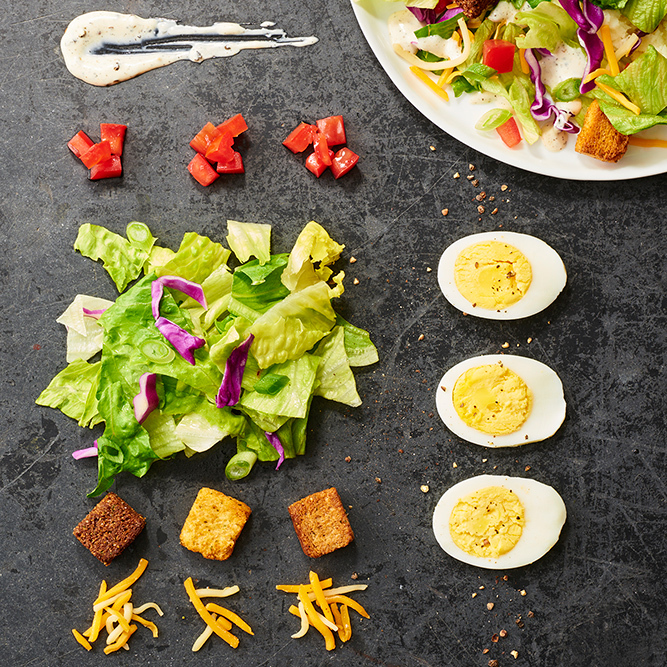 Start your experience with one of our award-winning cheese fondues or freshly prepared salads. 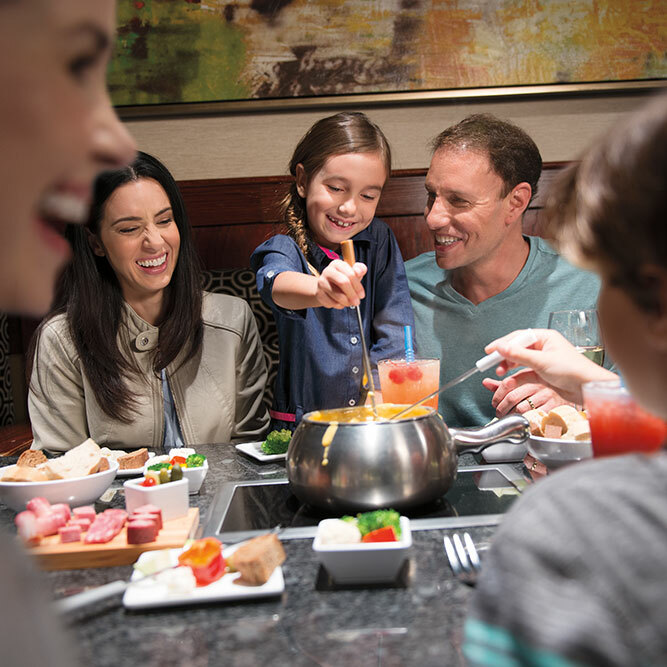 Enjoy interacting with your friends and family while cooking fondue-style entrees such as seafood and steak right at your table. 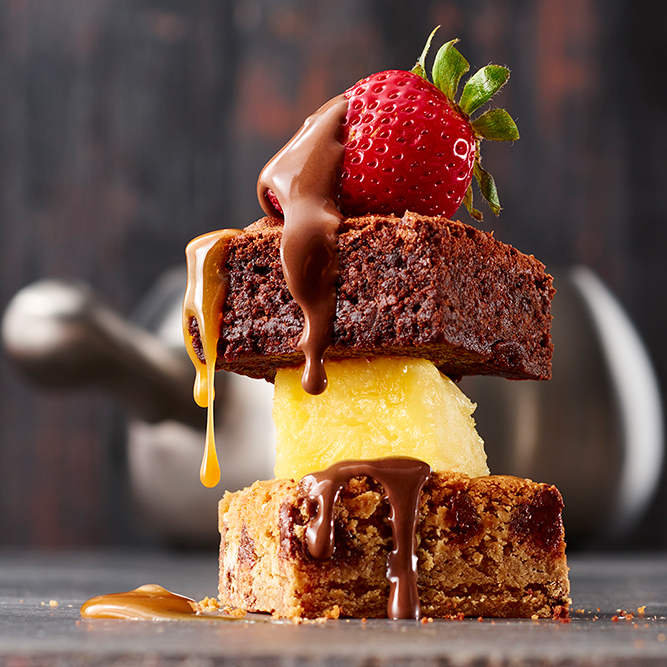 And, a trip to The Melting Pot is not complete without a dip into one of our decadent chocolate fondue desserts, complete with fresh fruit, cakes and marshmallows for dipping. 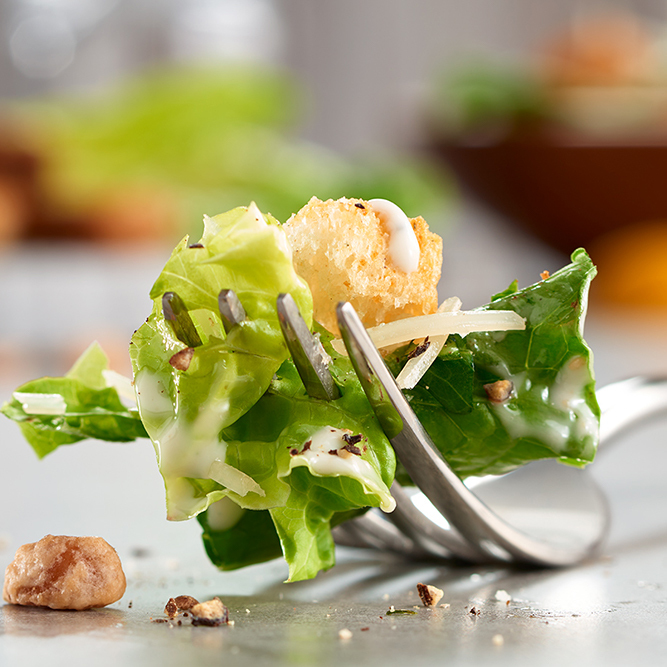 We proudly offer a full gluten free menu, and can accommodate vegetarian and most other dietary requests. 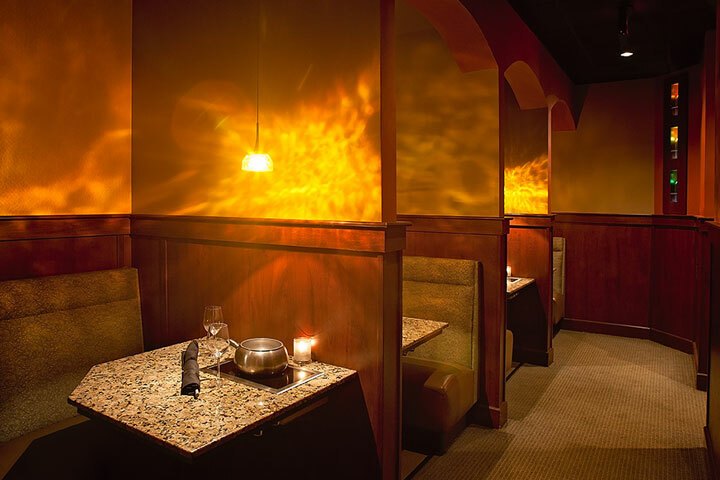 Among all the restaurants in Bedford, MA (and the Burlington, MA) area, The Melting Pot is the only place you can find multi-course fondue dining. 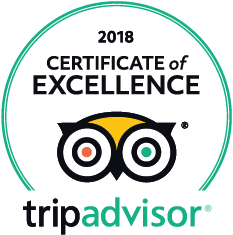 Our interactive experience makes us one of the most unique dining choices around and, as such, we are one of the best restaurants in Bedford and beyond for private parties and group events. Check out our Create Your Night page for additional info. Celebrating something special? 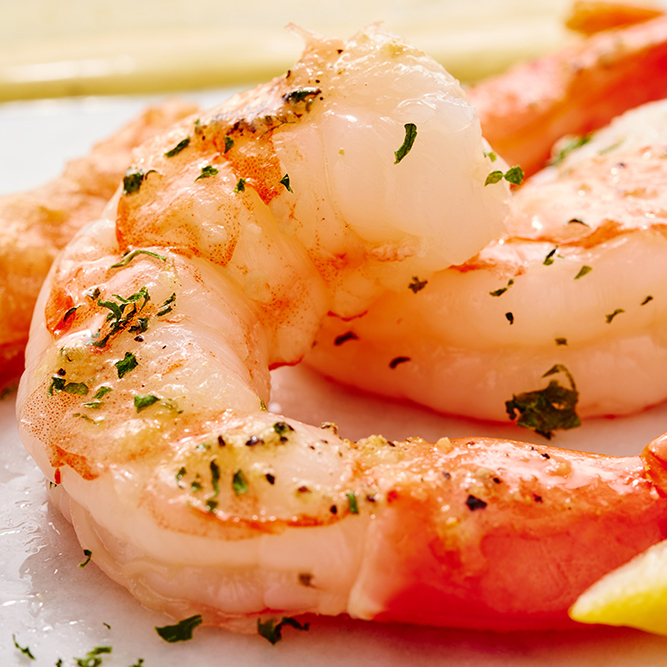 We offer a variety of different packages to compliment your meal. 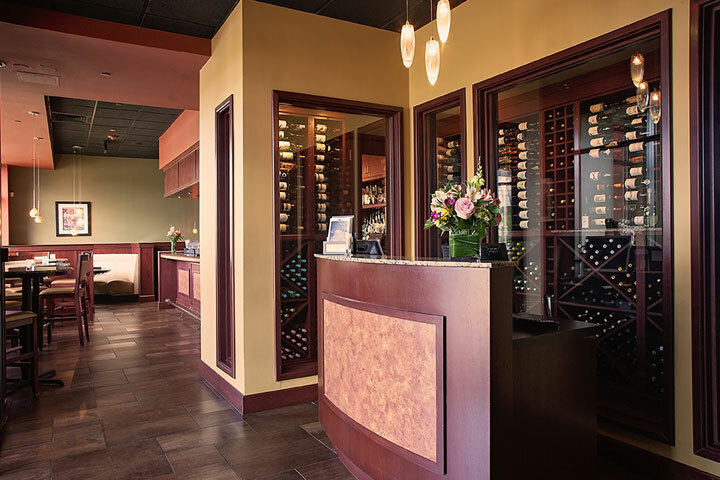 Pick from rose packages from Bedford Florist and Gifts or toast the occasion with Champagne and chocolate covered strawberries. Visit our Create Your Night page for more info. 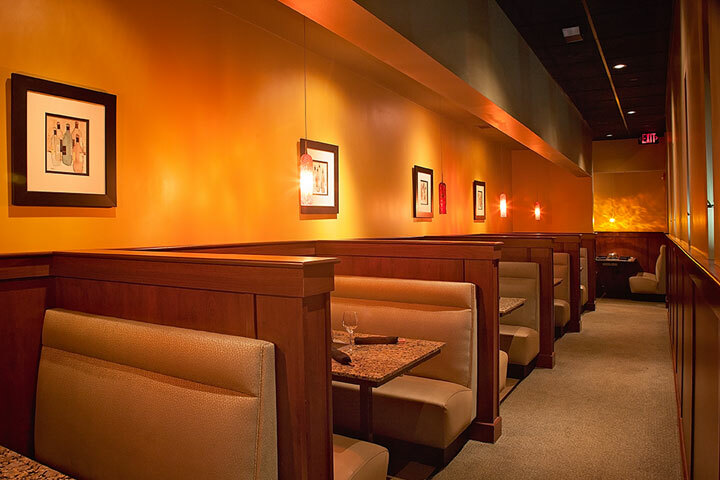 Call (781) 791-0529 or click HERE to make a reservation. 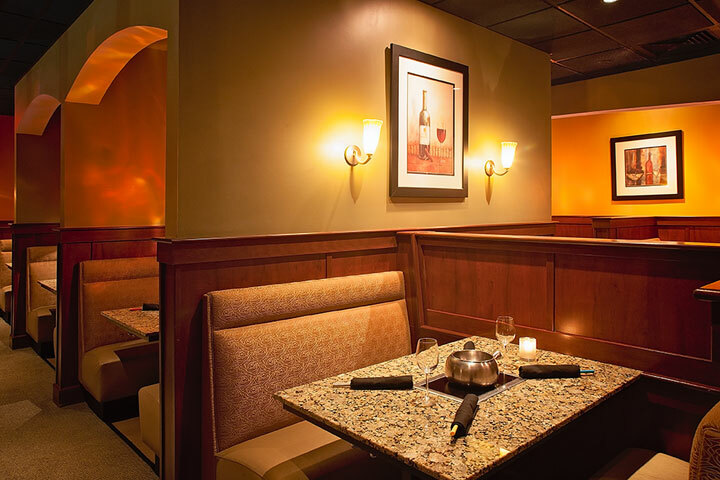 The Melting Pot of Bedford is conveniently located right on the Bedford and Burlington line, just North West of Boston, Mass. We can be accessed easily from two of Massachusetts’ major highways, routes 3 and 128 (Interstate 95). 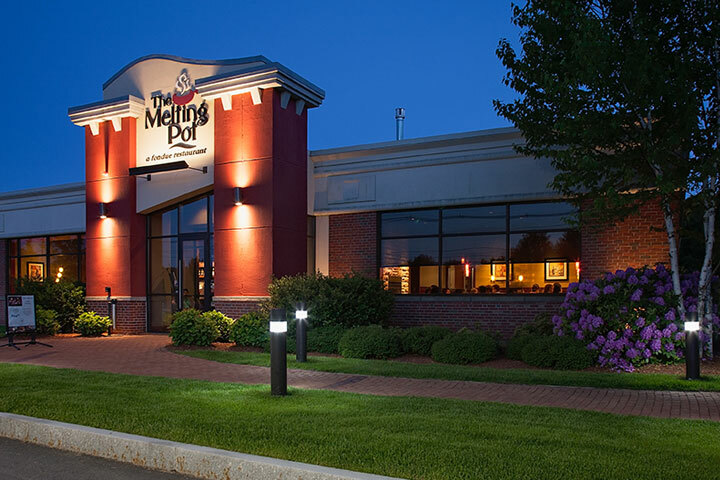 We are located less than 2 miles from the Burlington Mall and AMC Burlington Cinema and within comfortable driving distance from Boston's North Shore and most points in Southern New Hampshire. Parking is available in front and to the right of the restaurant. Take Rt 128 (I 95) South to Exit #32 B-A (Rt 3 North). Take the first exit, #26 (Route 62). Take a right at the bottom of the exit onto Burlington Rd. (Rt 62). We’re approx. 1/4 of a mile on the right (#213 Burlington Rd.). Take Rt 128 (I 95) North to Exit #32 A-B (Rt 3 North). Take the first exit, Exit #26 (Route 62). Take a right at the bottom of the exit ramp onto Burlington Rd. (Rt 62). We’re approx. 1/4 of a mile on the right (#213 Burlington Rd.). 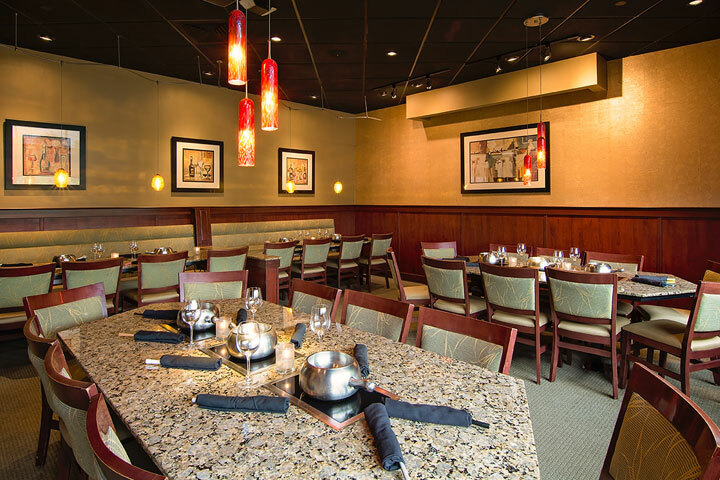 Find yourself out shopping and looking for restaurants in the Burlington Mall? We’re just down the street! Take Middlesex Turnpike towards Billerica. At the "Y" intersection, bear left onto Network Dr. Take a left at the light at the end of Network Dr onto Burlington Rd. (Rt 62). Take the 2nd driveway on the left (#213 Burlington Rd.). Take Rt 3 South toward Burlington, MA to Exit 26 (the last exit before Rt 128/I 95). At the bottom of the exit take a left onto Burlington Rd. (Rt 62). We’re approx. 1/4 of a mile on the right (#213 Burlington Rd. ), just before Middlesex Turnpike.